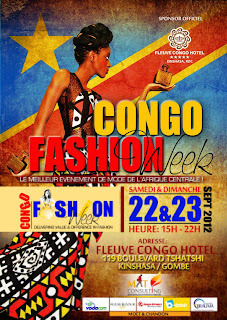 “We are moving towards keeping our long-awaited event and yes it is indeed CONGO FASHION WEEK A BRAZZA THE GREEN! !” are the words from the organizers as they released the participating designers for the show. That shows that they are well prepared for the much anticipated event scheduled for 22nd & 23rd of September, 2012. Congo Fashion Week aims to promote fashion and Congolese culture around the world.